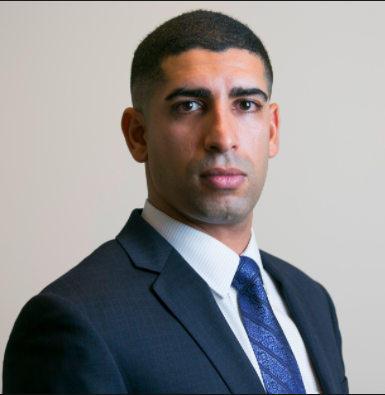 Flo Groberg is the director of veterans outreach and Boeing Defense Space & Security Strategy for Boeing Global Engagement. He is responsible for developing and implementing a company-wide giving and engagement strategy for Boeing’s support of military veterans and their families. He also leads Boeing’s community engagement in the Eastern region and is based in Washington, D.C. Prior to joining Boeing, Flo served as an official spokesperson for LinkedIn where he was responsible for the promotion of LinkedIn’s veterans program – a tailored job search tool for veterans transitioning out of military roles and into the civilian workforce. Before LinkedIn, Flo worked as an operations officer for the United States Department of Defense. In this role, he served as special advisor for strategic defense projects – providing expertise to defense policymakers and military planners. Flo’s military career began in July 2008 upon enlisting in the United States Army. After completing officer training and both U.S. Army Airborne and U.S. Army Ranger Schools, he was assigned to the 4th Infantry Division at Fort Carson, Colorado, serving as a platoon leader. After rising in the ranks following progressively more challenging assignments, Flo was promoted to the rank of Army captain in July 2012. Flo is a recipient of the Medal of Honor, the United States’ highest military honor, for his extraordinary gallantry, intrepidity, and heroism while serving in combat operations in Afghanistan in 2012. In addition to the Medal of Honor, Flo’s awards and decorations include the Bronze Star Medal with one Bronze Oak Leaf Cluster; the Purple Heart; the Meritorious Service Medal; the Army Commendation Medal; the Army Achievement Medal with one Bronze Oak Leaf Cluster; the Afghanistan Campaign Medal with three Bronze Service Stars; the Global War on Terrorism Medal; the National Defense Service Medal; the Army Service Ribbon; the Overseas Service Ribbon; the NATO Medal; the Combat Infantryman Badge; the U.S. Army Parachutists Badge; the U.S. Army Ranger Tab; and the Meritorious Unit Commendation. He holds a Master’s degree in management with a specialization in intelligence policies from the University of Maryland University College in College Park, MD.